Description: Steganography is the practice of concealing a message, image, or file within another message, image﻿﻿﻿, or﻿﻿﻿ file. 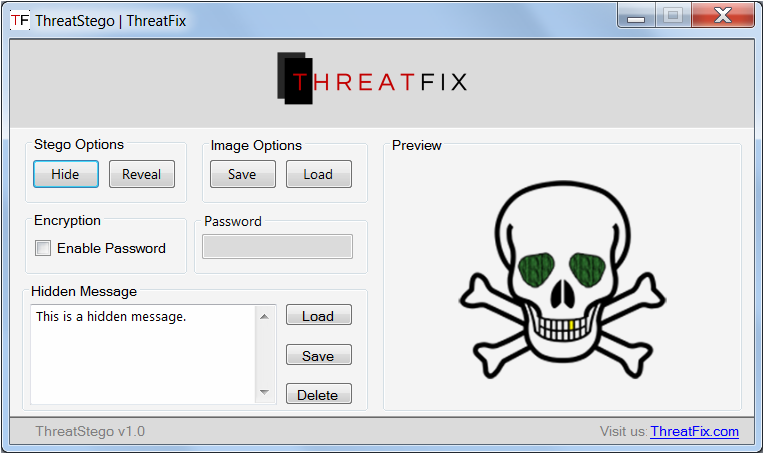 ThreatStego is a tool I developed that allows a user to hide text inside of an image. The image can be password protected to prevent someone from revealing your secret text, but also works just as well without one. Along with that functionality, the tool also allows a user to reveal text hidden using this application.